Last night Seattle Opera started up the annual Seattle University series that allows opera goers to explore the season in a much deeper fashion than just the regular opera previews that we give throughout the Puget Sound area. This season, with all of the Verdi operas at SO, we will focus on Verdi's life, works, and his role in the unification of Italy. Last night Aren der Hacopian and I talked about singing, focusing on the three Verdi shows this season, La traviata, It trovatore, and Falstaff. Aren, as a singer himself, talked about the technique to produce great sound and looked primarily at the soprano role of Violetta in La traviata. I spent some time comparing the same exact sections from Il trovatore and Falstaff with a number of different singers using the things we learned from Aren to talk about the difference of the voices. Next time we will look at Verdi and the role of parents and children in his operas, an important theme that shows up time and time again in his works. Also this season we will connect with Wagner and More (WAM) to create special nights to compare Verdi and Wagner and themes that appear in both of their work. At the end of the session last night, I asked those who attended to take a look at this article that appeared in Opera News recently about opera education by Philip Kennicott entitled "The Education of an Audience". There were many things that I disagreed with in this article, particularly that as an Education Department we should be teaching how to listen for 'excellence.' The main issue I have with 'teaching excellence' is that my definition is probably a little bit different from that of other people. We can teach about the technical proficiency of singers, but part of the joy of listening to singers is that each voice is slightly different and distinct so that we, as members of an audience, can defend our choices. 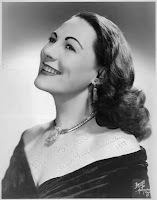 Over the years there have been great debates between Callas or Tebaldi; Domingo or Pavarotti and many others. Of course these are all 'great' singers, but the argument never ends and if I prefer one voice over another I'm no longer teaching excellence but teaching about my taste. The problem with a term like 'greatness' or 'excellence' is that it is completely subjective. We can prepare audiences beyond the general introduction of the story from 'overture to final curtain call' as Kennicott says, which I think everyone who gives previews for Seattle Opera strives to do, but opera has always been a place of self-discovery and self-education; as you hear more voices you can start to form deeper opinions and more educated statements. We don't expect first graders to learn geometry, but rather we teach them the skills in order to add and subtract, building their skills over years in order to solve more complex problems. Opera, while different, is really the same in many respects; when we first attend the opera something grabs us and excites us about the artform (for me it was the anvil chorus in Il trovatore), but now after attending a number of performances and studying a number of operas I can argue why I like one singer over another, or defend a directors choice to stage a particular scene one way when the stage directions ask for something completely different. I hope that over time each of our audience members learn these things as well, but telling an audience what is 'excellent' seems like I am saying 'this is the correct interpretation.' I thought the whole point of art was that we continually learn from our past experiences to redefine that term of excellence. Attached below is the article, which can be found on the Opera News website. I hope that this might inspire you to let us know your thoughts on Education and what excellence means to you. To read Kennicott's article click here. Thanks for posting this article, Seneca. I too would love to hear from you in the audience: what do you want to know and learn about opera? Obviously we (that is, the opera company responsible for your opera education) have the goal of giving you the best possible experience, since that’s what will keep our company alive. I’ve always assumed that best experience involves you thinking and feeling, in reaction to the show; so most of our efforts are designed to provoke your thoughts and engage your emotions. While I think Philip Kennicott is on to something when he compares comic book fanboys and opera aficionados (indeed, as a writer of captions I’ve always found that opera and cartoons have far more in common than most people want to acknowledge), I fear that his project—-making the opera audience a crowd of comic book fanboys, forever quarreling about their own evaluations of operas, singers, productions—-may be unrealistic. Opera is simply too expensive. It was invented in an age of tyranny and despotism, when people with money and power could do as they pleased, and thank goodness it pleased some of them to show off their prestige by sponsoring the first operas, as a kind of potlatch in Renaissance Italy. Thank goodness, also, that those days are long gone, that we now live in a democracy where lack of access to money and power is not supposed to limit what people are capable of thinking or feeling, or the art they can enjoy. But opera’s high price tag remains, so for it to exist in our pluralistic society, where money is our only shared social value, it has to be vaguely mainstream. If Kennicott’s self-educated, contentious, fanboy elite were the only interested parties, I doubt they’d have enough money to put on even a mediocre performance. Kennicott is a critic, who naturally assumes that the ultimate goal of everyone in the audience is to be a critic—-an opera fanboy, crankily assessing Kennicott’s most “compelling” question of How good is it? Honestly, I’d rather live in a world where everybody was a CREATOR of beauty than an ASSESSOR of it. My own fantasy opera education program would empower everyone in the audience—-that is, everyone in society--to be an artist. Opera was created in an elite social world that considered artistic expression to be a skill (not an innate characteristic, but something learned) necessary to living a full human life. We learn by doing, so if I really wanted to teach people to understand and appreciate opera I’d try to get them to read and recite poetry, to act, to sing, to dance, to play instruments, to compose, and to draw and design and build environments and outfits and magic tricks. Few people will be able to do all these things, and fewer still will do any of them well enough to command the interest of others. But making the attempt, learning about how to do them, would help us explore our own humanity a little more—-and would make observing the professionals a lot more meaningful.